Yesterday, I treated myself to a day of luxury at Bliss Spa. (I always go to Bliss 49 -- it's my very favorite of the Bliss properties.) 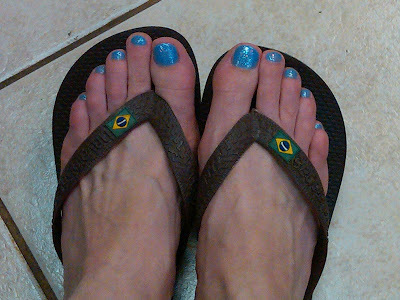 In any case, my treatments included the Fabulous Feet Pedicure ($55 for 60 minutes of pure and total heaven). I went for something a little bold on my toes -- one coat of Essie Lapis of Luxury (a dreamy ocean blue), then two coats of OPI Last Friday Night (a gorgeous glittery blue from the Katy Perry collection). I love that the glitter from Last Friday Night is multicolored, bringing interesting dimension to the lapis hue beneath. 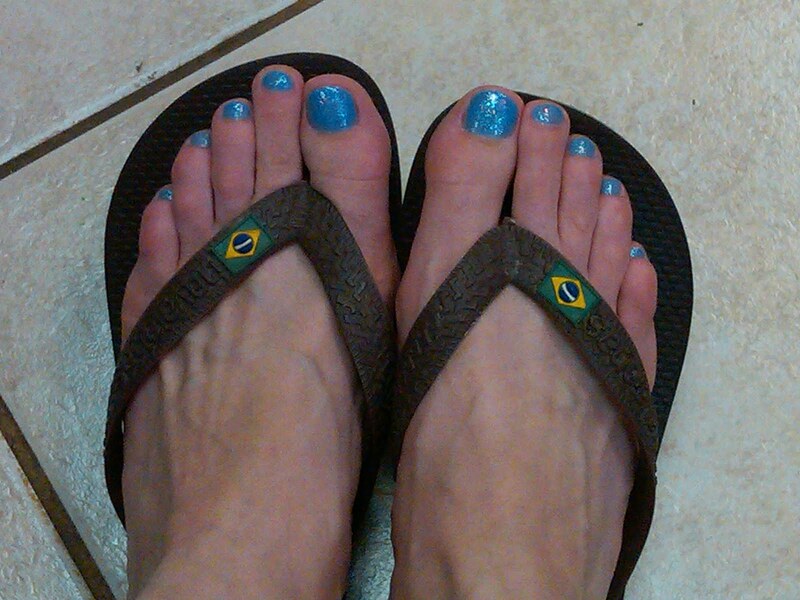 What's on your toes right now? Let me know in the comments! Zoya Jana. Beautiful. Oh and I just discovered Essie Matte about you. Tried it on my nails and this stuff is amazing. Gives any nail polish you have a matte look. Love it!